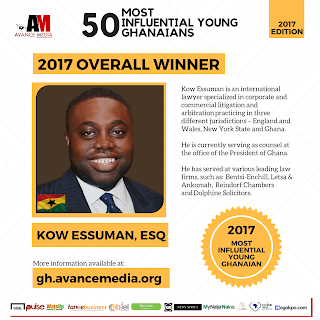 International Lawyer & Counsel at the Office of the President of Ghana, Kow Essuman(ESQ), has been voted the Most Influential Young Ghanaian in 2017. 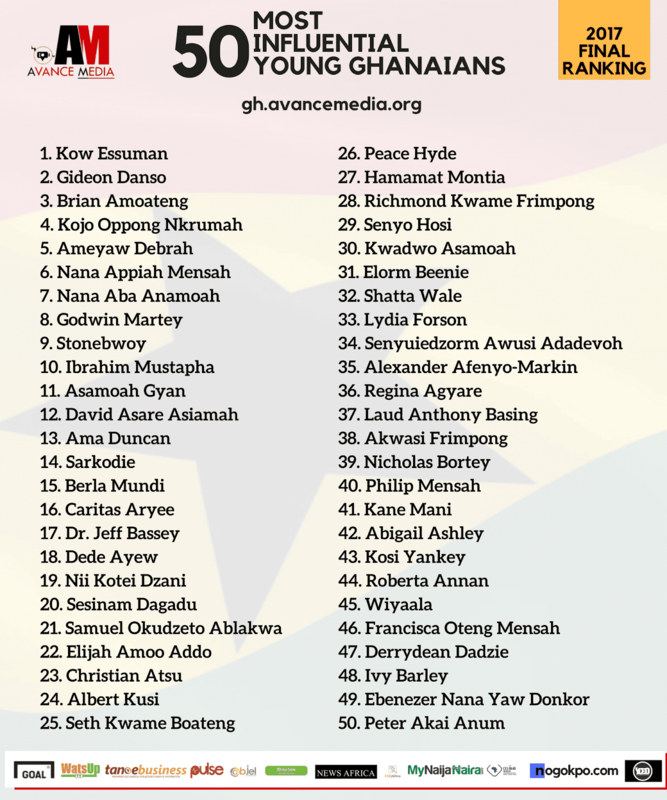 The Most influential Ghanaian poll is one of the most credible and respected annual rankings organised by reputed rating agency, Avance Media. Head of GhOne TV News and Host of State of Affairs, Nana Aba Anamoah was also voted as the Most Influential Young Ghanaian Woman as well as Empowerment Worship Center’s Founder, Pastor Gideon Danso, Brian Amoateng Outreach Ministries’ President, Prophet Brian Amoateng, Member of Parliament and Deputy Minister of Information, Hon. Kojo Oppong Nkrumah and celebrity blogger, Ameyaw Debrah were among the top 5 most influential young Ghanaians respectively. Prince Akpah, MD of Avance Media says he hopes the annual polls will inspire young people to create a positive environment that will encourage other Ghanaian youth to excel in their various endeavors. 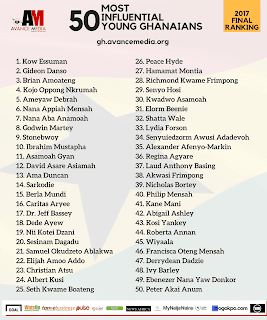 The 50 Most Influential Young Ghanaians ranking is proudly organised by Avance Media in partnership with Goal.com, ReputationPoll.com, Abjel Communications, WatsUp TV, TANOEBusiness.com, My Naija Naira, The YCEO, Dream Ambassadors Foundation GH, CliqAfrica, Pulse Ghana, Africa Feeds, News Africa and CELBMD Africa. For More information kindly visit gh.avancemedia.org or email [email protected], 0242307379.